Hosting a fancy dinner party can be stressful—making sure the house is clean, serving delicious meal, setting a pretty table… the list goes on. 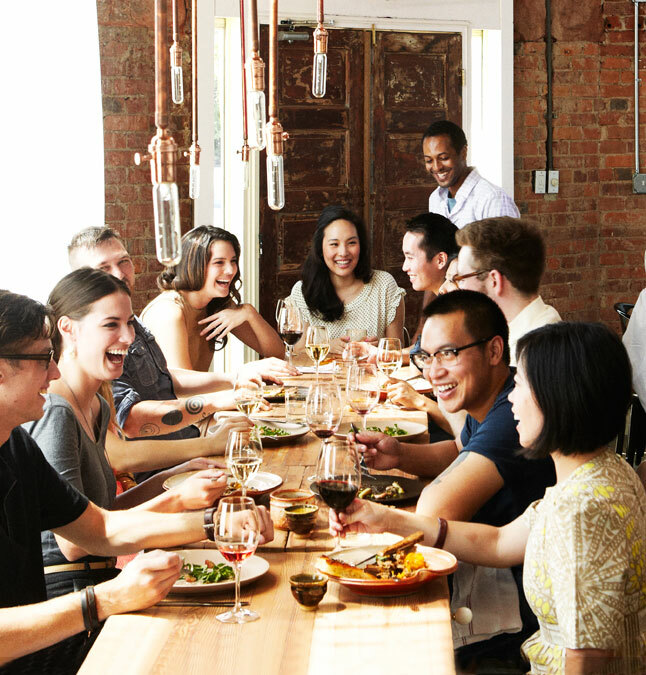 However, a dinner party doesn’t have to be daunting; it should be fun. All it takes is a bit of focus, creativity, and good food. Even if you don’t have the finest chinaware, you can still make your table look elegant. You can go for a classic table setting, accessorized with a glamorous bunch of flowers or small tealight candles at the centre of the table to set the mood. If you prefer a more casual set-up, a few trailing pieces of petals along the table, a few smooth white stones, and a couple of pieces of small branches can make your set-up look pretty without spending much. Adding small bits and pieces to your table looks fun, and using any fabric scraps from your crafting projects could be used as place mats or table runner for a quirky tablescape for your dinner party. By this, we mean your main course. Instead of going all out on four super-fancy dishes, focus on just one dish and perfect it. It could be anything from a special wedge of cheese to a luxurious type of olive oil that you want to feature in your perfectly roasted turkey that will be your star of the night. Pick one thing to highlight, and you won’t have to worry about going out of budget. Setting the mood for your dinner party should start the moment your guests arrive. As guests start coming, serve them with some finger food and drink. It can be as simple as cheese and biscuits or a bowl of almonds and olives paired with white wine. Either way, it sets a fun and casual mood that will bring your guests to relax before the formal dinner begins. One way to make the star of the show a bit more special is to fuse it with unexpected flavours. Take your roast up a notch with chile and cocoa spice rub. For your mashed potato, jazz it up by adding fish sauce, coconut milk, and a squeeze of lemon juice. The added flavours will make your meal taste and feel extraordinary without costing you a lot of money, time, and effort. Using fresh ingredients is often underestimated when preparing a meal, but it does work wonders in balancing flavours of a dish. 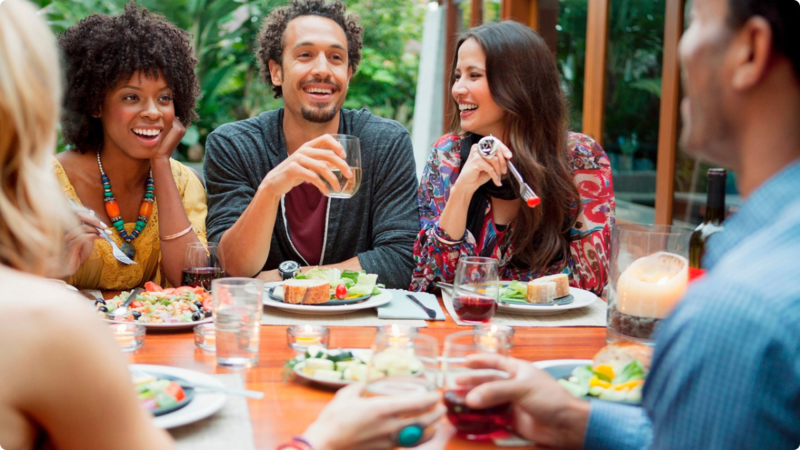 Dinner parties have the tendency to be heavy, so make sure to balance things out. A squeeze of fresh lime or lemon here and a freshly cracked black pepper there can make the rest of the dish live up to its true flavours. Sometimes a little effort in the presentation can liven up the simplest ingredients. Shortbread looks fancy when sprinkled with vanilla sugar. Beautiful curls of parmesan atop a plate of carbonara are far more elegant than the typical grated cheese sprinkle. Edible flowers make any dish look lovelier. Chopped up roasted nuts and fresh herbs, as well as a sprinkle of olive oil, jazz up any store-bought dips, so no one can guess they weren’t homemade. As long as you pay attention to details and make a bit of extra effort to your plating, it’s hard to go wrong with your food presentation. There’s no need to stress yourself up for food-wine pairings, but serving steak with Diet Coke just won’t cut it. If you want to serve soda, try blood orange soda or Italian sparkling lemonade. For pairing alcohols, keep things simple. You can find a lot or sources for wine, beer, and cocktail pairings online. 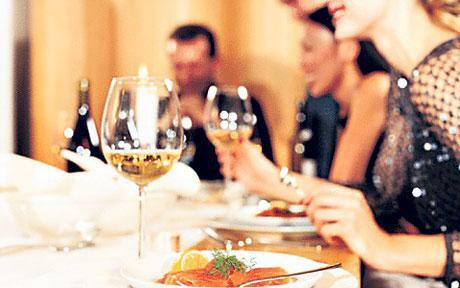 Remember that the right food and drink is what makes a dinner party stand out. Now that everyone is done with their entree, it’s time to serve the sweet treat. When serving desserts, offer guests coffee or any digestif that goes well with your chosen dessert. And when picking your finale dish, don’t stress yourself too much. A delicious tart from any Singapore bakery, chocolate truffles, or other treats from your favourite candy shop will do. You don’t have to spend a lot of time in the kitchen whipping up homemade crème brulee when you can simply get something equally tasteful that’s premade. A dinner party is a lovely way to get-together with family and friends. Make this affair extra special sans the hassle by keeping these smart tips in mind.